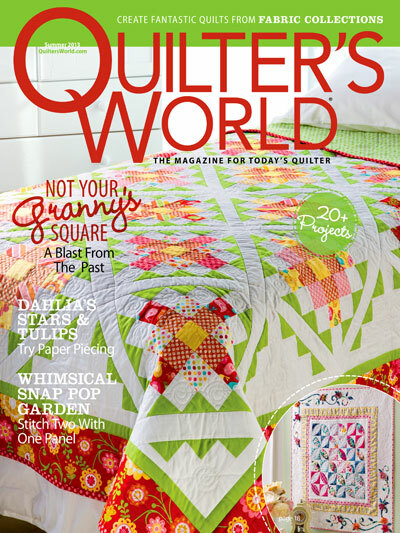 I always love it when quilters use their quilts! And Joyce displayed her quilt beautifully on her table. Joyce did a great job, don’t you think? A huge “THANK YOU” to Joyce for letting me share her beautiful quilt. Click here to view Jean’s quilt made from the same class. 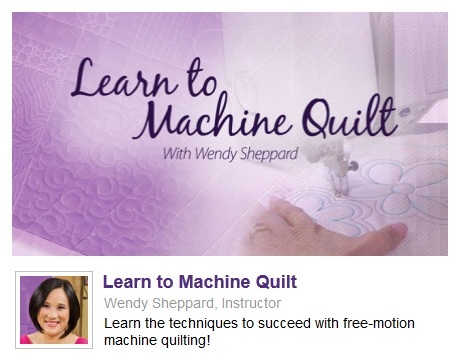 Click here to read more about my “Learn to Machine Quilt” online class. 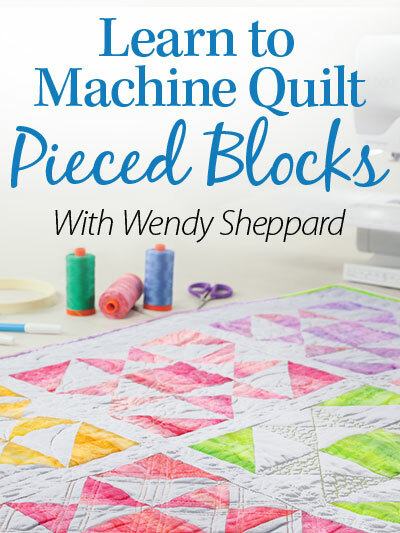 Giveaway: Annie’s is giving away a free “Learn to Machine Quilt” online class to celebrate my 50th Thread Talk installment on this blog. 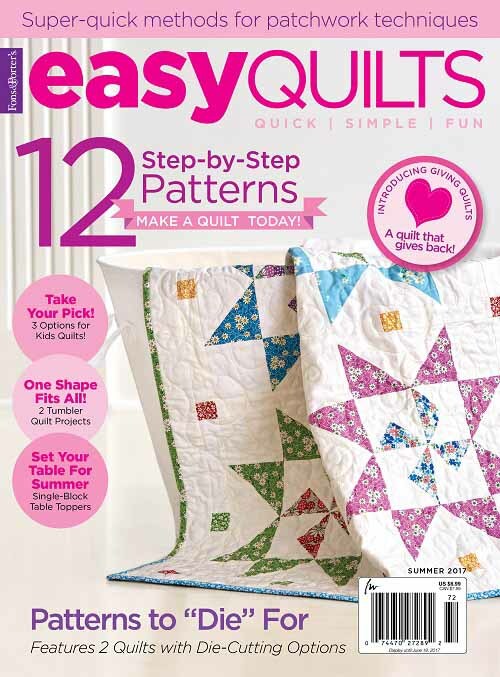 Leave in the comment section your quilting goals between now and next Wednesday (6/26/2013) to enter the contest. Thanks for stopping by. I wish you all a lovely weekend. See you again next Monday. This entry was posted in Quilting and tagged Annie's Learn to Machine Quilt Class with Wendy Sheppard, Student's Class Project. Bookmark the permalink. I just fell in love with every stitch of the quilt made from your online class!!! I would love to take this class and hope I win. Congratulations on sharing 50 Thread posts. I’m so grateful that you share your skills and suggestions. I’ll be working on finishing a lap size top, and have a twin almost ready to quilt. I plan to do a little bit of feathers in the first border. Have a great weekend! Wow! What a gorgeous quilt. I would SO love to be able to quilt my quilts like this. I find it so hard to have good control. That would be one of my goals, is to learn how to machine quilt with movement . I’ve got a small quilt my husband wants done last month. (I’m always behind.) Then I’ve got a king-size bed quilt to start on. Got the fabric, just need the time. 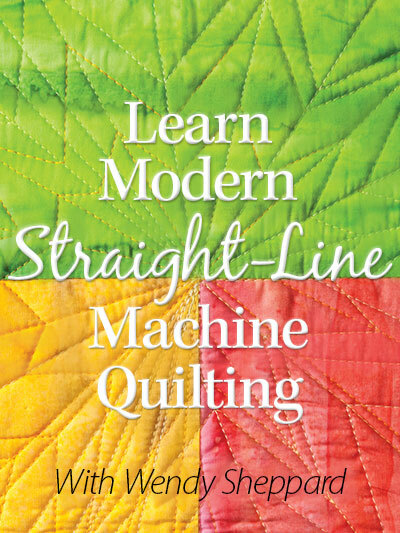 I want to learn more about machine quilting. I’m a little intimidated by it. i am making all my grandkids under the age of 21 a quilt. Wow I would LOVE to quilt like that!!! I am practicing and getting better … and hope to one day master it. I would so love to win the class!!! Thanks for the opportunity. Wow! That is simply beautiful! If only I could do that. My quilting goal at the moment is to make myself get into my sewing room and work on the quilt that is started (and committed) that my heart really isn’t into doing. What a great opportunity it would be to win your class! I would love to learn to quilt like this! I have come a long way on my free motion quilting but so much more to learn. My immediate goal is to finish a set of three lap quilts I am making for my mother, who is almost 90, and her two sisters. Then I have a Japanese quilt on the drawing board, a gift for a friend, and then a T-shirt quilt for my godson, plus two more quilts to make before Christmas, so I better go and get busy! After trying for months, I still don’t feel like I know what I’m doing with free motion quilting—lack of conistency and control. I’m so frustrated that I’m about ready to give up. Just being able to do a baby quilt with FMQ that I thought looked decent would be my goal so I’d love to win the class! Congratulations, Wendy! I love free motion quilting but am having problems achieving perfect tension with my new machine. So, I guess my goal is to keep practicing to learn the perfect combination of threads, speed, needle and motion. I’d love to win this class! Won’t it be fun to win your class. The quilt is just beautiful! I am all thumbs trying to free motion! I sure could use a free class! Thanks for the opportunity! what beautiful quilting! I am struggling to learn to do feathers…..so that is my major goal…….. classes would make the journey easier! I have never taken an online class. Would be great to win one. I would love to learn how to do this. This class would be awesome. I have been teaching myself and so far have learned the basics to making a quilt like piecing, binding and quilting. But only quilt in the ditch and some echo. But the echo looks really, really bad. My goal is to make a complete quilt from start to finish and not with just quilt in the ditch. Thank you for the opportunity to win this class. I love reading through all of your blogs and web site. When I grow up, I want to quilt like you! Your work is so beautiful. My quilting goals are to keep trying new things, to improve, to not need to mark to much and to get faster. Finding new ideas is always a challenge. Thank you to you and Annie’s for the chance to win. Congrats on 50 Thread Talk posts! I’m a little behind, but I love them. Congrats on 50 Thread Talk posts. Practice is my down fall….I want to just do it, but I know it’s not that easy. I have a new Sweet Sixteen sit down machine…and I feel it’s just not getting used to it’s full potential. My goal is to be able to FMQ without having to mark in from stencils…beautiful feathers would be the ultimate best achievement I would love to do. An online class would be just awesome..
I’m in awe of Joyce’s quilt. If your class helped her to do such beautiful free motion quilting, it must be amazing. Thank you and Annie’s for the chance to win it. Hi Wendy, Thank you for sharing my quilt with your many friends. I had sew much fun quilting that quilt. I had a FABULOUS teacher!! The online class is a great way to learn. So nice that you can go back and review a lesson any old time. Thank you for the instruction and for the continued inspiration. I am in awe of what you do!! My goals change daily, it seems, but one consistent goal I’ve had is to learn to machine quilt proficiently. 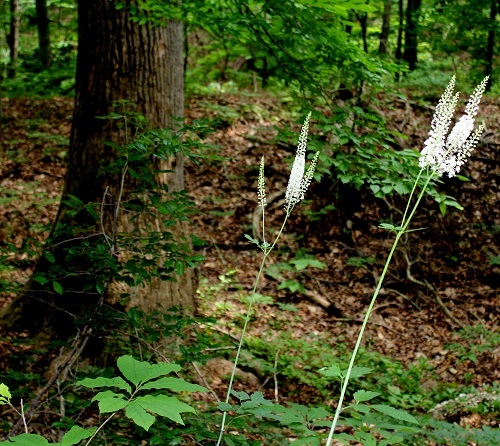 The photos in today’s blog certainly attest to your teaching abilities. This looks like a great class! This white quilt is inspiring. I just returned from International Quilt Festival in Chicago and am so amazed at what can be done in the machine quilting world. I would love to win the Craftsy vidieo!!! My goal is to find enough time to sew even a few stitches with all other responsibilities currently in my life These include being primary care giver for my Mom who is almost 93. She’s a neat lady who still delivers meals on wheels to “old people”. I have some things here that NEED quilting but I’ve been procrastinating because i’m not really sure what/how to FMQ/Quilt it :| So those are pretty high on my to do list! I bought thread, fabric and am getting a new sewing machine next month. Now all I need is direction on how to machine quilt! The quilt you show gives me hope that I’m going to be successful in this new adventure! Quilt looks so great. 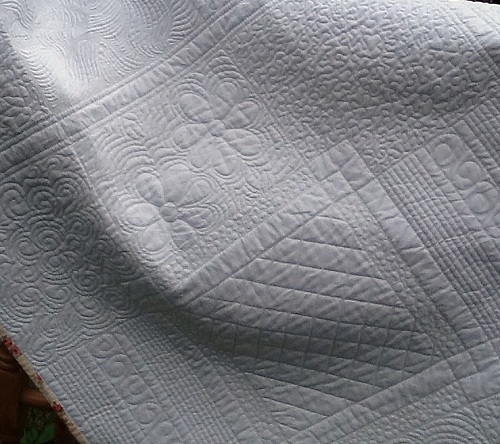 Goal is to get DGD’s Jacob’s Ladder quilt quilted by end of July–probably not– or soon thereafter. Don’t know how I am quilting yet. That is the hardest part. Beautiful quilting. I’m just learning to maching quilt, and I have a long way to go! Everyone says to just keep practicing. Would love to take the class to improve upon what I’m doing and learn more about machine quilting. My quilting goals are to practice, practice, and practice! I have learned so much from your thread talks & I thank you for your generosity in sharing them. My goal is to improve my free motion quilting and crate smoother more even stitching. I just viewed Joyce’s quilt made from Annie’s Learn to Machine Quilt class and Give Away. Joyce is my cousin and she and I share many similar interests and hobbies, but from opposit ends of the US. We often comment how much fun we’d have together if we lived near one another. So, it was so fun to see her quilt on your site. I do a little bit of machine quilting but would love to learn more. I think this on-line class would be perfect for me. I love the finished project and have a number of my own projects that need finishing. I’m inspired! I would love to take your class at Annie’s. My goal would be to MQ even just a tiny bit. My goal is to become more creative in my quilting skills. I struggle to figure out how my quilts should be quilted…what is going to make them POP. I enjoy the quilting part the best I think. I want to push outside my box. Thank you for a chance to win. I JUST started up my new Long arm business. I had my 2008 26″ Gammill Classic Plus delivered two weeks ago. I have my second practice piece on and have been practicing 40 basic all over designs. By September I am hoping to have my skills be good enough to finally start taking on clients. Your thread talk lessons are so good – I have learned a lot from them. Thanks for the chance to win this class! absolutely beautiful! 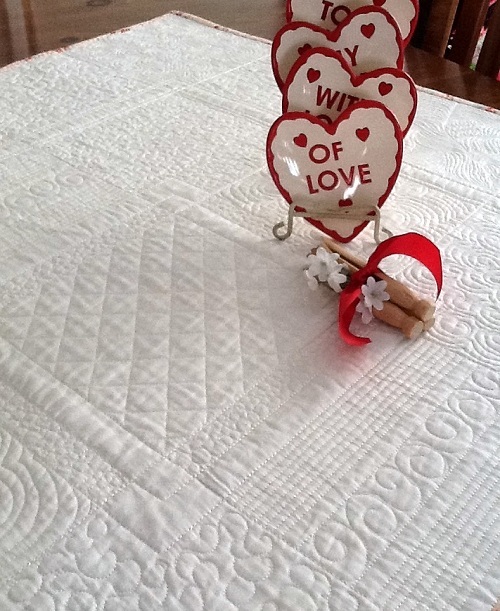 I love the white on white…..really shows the quilting exceptionally well…great job!! She did a wonderful job! It’s gorgeous. Very nice- impressive. My quilting goal is to complete marking a quilting design on my double wedding top so that I can sandwich it and start quilting. My quilting goal for this week is to start a baby quilt for my nephew and his wife who are expecting their first baby early in September. 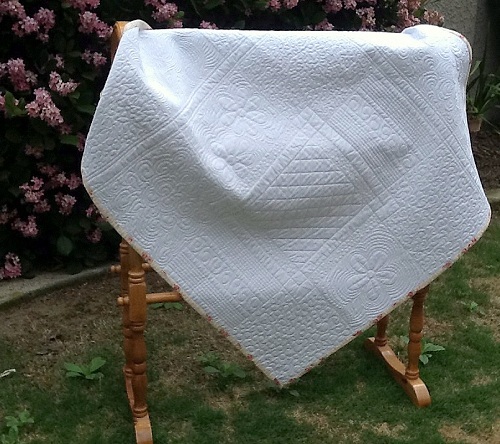 Thank you for a chance to win this quilting class by a quilter whom I admire greatly. WOW! If I could end up after the class with just some of those skills, I would gleefully be amazed! My goal concerning Machine Quilting would be to feel much more confident, skilled in this area & enjoy it! I would love to win the class on free motion quilting, thanks. You make everything seem so effortless! Thanks for the opportunity to win this class! One can never learn too much! 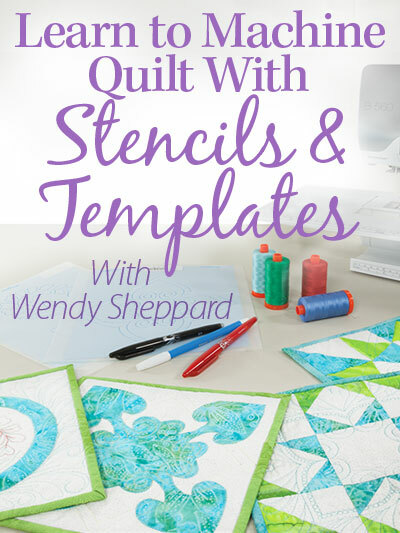 I would love to win a class on free motion quilting. I haven’t taken any on line classes because I have dial-up. Winning a class would motivate me into getting a higher speed internet. I’m a longarm quilter but I’m sure your beautiful designs done on a DSM are transferable to a longarm! My goal is to get as accomplished as you are! Thanks for the opportunity to win the class. Your quilting designs are wonderful. I would love to be able to quilt like you. My goal as a quilter is to enjoy the quilting process. I love to piece, but I am intimidated with the actual quilting. I know your class would be a real confidence builder. Thanks for the opportunity to win this great class. Your quilts are so beautiful. 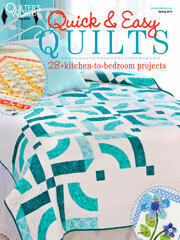 I have even bought some of your patterns after seeing the quilts in the magazines. We really have benefited from your creative talents. Your quilts are so very inspiring!! Thank you for the opportunity to win your free class. I love all aspects of quilting but really want to learn the quilting designing and custom quilting of a quilt. I love your quilting! My goal for this summer is to quilt two tops that my grandmother made. My goals are twofold …. devote more time to quilting and hone my skills. Thank you for all the helpful information you pass on to us. It is so very helpful. I am still at the practice, practice , practice stage of FMQ, but like to think that there is some improvement ! What a lovely quilt! I’d love to learn to fmq. like that. Thanks for the chance! Wonderful quilting. My favorite part of quilt making is the actual quilting part. I would love to take your class to learn your technique. My goal is to learn free motion quilting. Your class would be a huge help! Thanks for all your tips. You do such beautiful stitching. I machine stitch on my domestic machine but I have trouble designing what to put in the blocks. I love the pebbles and have been afraid to try them, but I have a King size Drunkard’s Path almost ready for quilting and I am going to try to put them in it. I am on a sewing vacation at home this week with the goal of completing a quilt I have decided to commit to a Quilt-as-you-go technique, complete blocks for my quilt club for the last few months, LA a quilt for a customer, and make a going-away dress for my daughter of her honeymoon. Ambitious but it is my vacation. I have been wanting to learn how to do pebbles and anxious to try them on my “Cabin” quilt. That quilt on the table is so gorgeous. I love looking at all of the different quilted “areas” and seeing what was quilted in each one. I am working with some batiks in NY Beauty blocks this week. I’m working on four charity quilts from Quilts Beyond Borders. Definitely could use some new stitch pattern training. Learn to quilt a Queen size quilt on a regular machine. am so inspired by the pics of your pebbling. i’ve just started getting a bit more adventurous with freestyle quilting and am anxious to try it out on some comfort quilts. have bookmarked you for future inspiration. I have trie this on my own but conclude I need help, as in lessons. 20 hours per day practice might get me past beginning stage. I want your class lessons to encourage me to keep trying. My goal is to be able to quilt my own quilts in a creative way….I get stuck on what designs to use and then need to practice a lot! So a realistic goal is to have a practice piece and practice a little every day! My quilting goals are to become more creative and less perfectionistic with my quilting. I’m not quilting for show at this point in my life (I have a 4 month old daughter and a 2 1/2 year old son, so I’m lucky I’m quilting at all right now) so I want to expand my quilting horizons and just fall in love with the process. Inspirations like yours are key! Always love your posts Wendy – the talent shines through. My goals are to learn and be comfortable with feathers. Love the ones you quilt in a 1/2 square! Beautiful.